Cheating on horsepower ratings is not an uncommon practice in the automotive world. In theory it's not unlike a food company putting less calories on the package than what the food contains but in reality a few less calories will cost a lot less than a few less horsepower. Sports cars manufactures often report lower output figures than what the car and the engine actually delivers, even today ! This technique saves them a lot of money and of course saves us, the sports cars lovers, a lot of money too. The expected winnings from a new sports cars model are not as high as from a family sedan or a compact SUV. It's the easiest way to go around newly imposed taxes on emissions and cheat EPA and insurance houses. Even further, manufacturers often adjust the desired horsepower in order to get a more NHRA classification. In reality they didn't lie about the figures, just measured the power in conditions that were more favorable to their needs. There are numerous ways to cheat, on of the tricks for lowering the insurance cost and category is to measure the peak horsepower below the max engine speed or when decreasing the RPM. If sports cars manufacturers wanted to achieve opposite results they would measure hp at the crank and not at the wheels or use an open-exhaust system. There are plenty of combos and tweaks that produce the desired results. 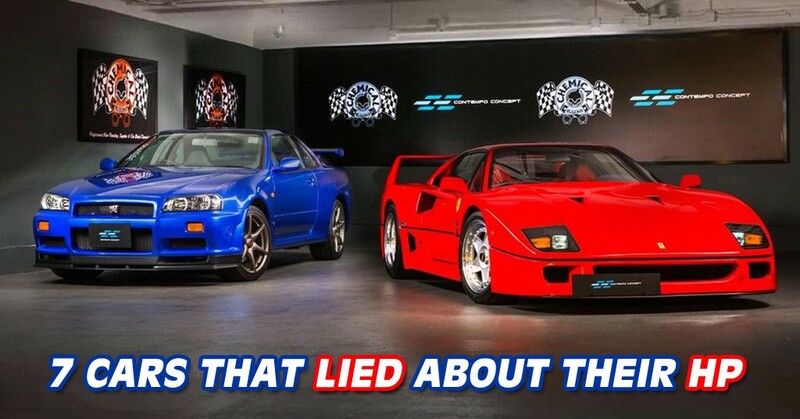 Either way figures can be manipulated but lets face it there are a lot more cars that are underrated than the once that are overrated, so here is our list of five cars that lied about their power ratings and gave us more than what we thought we got. Here's a spoiler, no Muscle cars, they will be covered in a different article. Due to the strict speed limits in JAPAN, Japanese manufacturers didn't want to start a horsepower war in the country. This led to a so called "Gentlemen's Agreement" which meant that sports cars manufacturers will limit their high performance vehicles to just 276 horsepower. 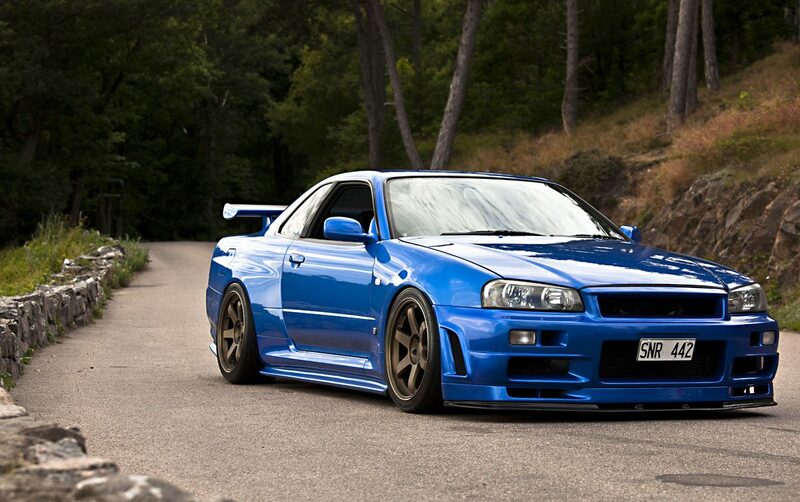 That's the main reason you will not be able to find a stock GTR R34 listed with more than 276 hp where in reality Nissan Motors Japan's Godzilla made well over 320 ponies at the wheels. The R33 and R32 also lied about their ratings. In fact all of the JDM sports cars manufacturers lied about the power ratings of their cars, especially the cars that had the 3.0L 2JZ-GTR, 1JZ-GTE, the Subaru Impreza WRX, the Lancer Evo's, the third gen of the Mazda RX-7 and many more. It was not until Honda broke the agreement in 2004 by introducing the 2005 Honda Legend with 290hp under the bonet. But who could argue or point fingers at a car called the Legend, right ? Ever since the news broke all JDM manufacturers jumped right on the 300-hp train, which was a forbidden fruit for them for such a long time.